You enjoyed the show’s first season. You appreciate the show’s continued focus on the sport of baseball. There somehow aren’t enough TV shows in the world for you to watch. This time last year, IFC found a sleeper hit on its hands with Brockmire, a show about a foul-mouthed and disgraced baseball announcer working his way back into the limelight. The show’s combination of fun storytelling and crude humor resonated with viewers, to the point where the network has already renewed it through season four. With years of Brockmire to look forward to, viewers can take in the all-new second season with the assurance that there will be more on the way…provided the new episodes are any good, of course. Following on from season one, Jim Brockmire has found his footing once again. By day, he calls Triple-A baseball games; by night, he drinks and stars in Brock Bottom, a popular podcast produced by Charles, his reluctant partner-in-crime. Brockmire learns of an opening in major league broadcasting, a chance to finally return to the top, but to get there, he must beat out local media sweetheart Raj and secure the gig. With Raj very popular among local baseball fans, this will no doubt be a challenge for Brockmire, and this conflict creates the foundation of the plot for the next few episodes. As you might expect, hi-jinks are aplenty, but a focus on character remains. The season opens with Brockmire literally hiding from his most recent sexual conquest, with Charles handing her a gift basket and sending her on her way. The two exploit Brockmire’s rampant alcoholism for their podcast, where his drunken tirades are embraced by the masses. Occasionally, these antics will simultaneously provide character development, like in a great scene where Charles scrambles through the stadium to pull a rattled and rambling Brockmire off the air before he has another meltdown. The cast have stressed the codependent relationship that these two leads share, and it’s perhaps most obvious in this scene; Brockmire needs someone to help keep his life together, and Charles needs someone to help him through his own personal and professional issues. Perhaps the biggest shot in the arm for this series is its new setting. The drab, unappealing visuals of Morristown are all but forgotten, replaced by the colorful and energetic backdrop of New Orleans. This was explicitly set up last season, but it was nonetheless a brilliant move on the show’s part. 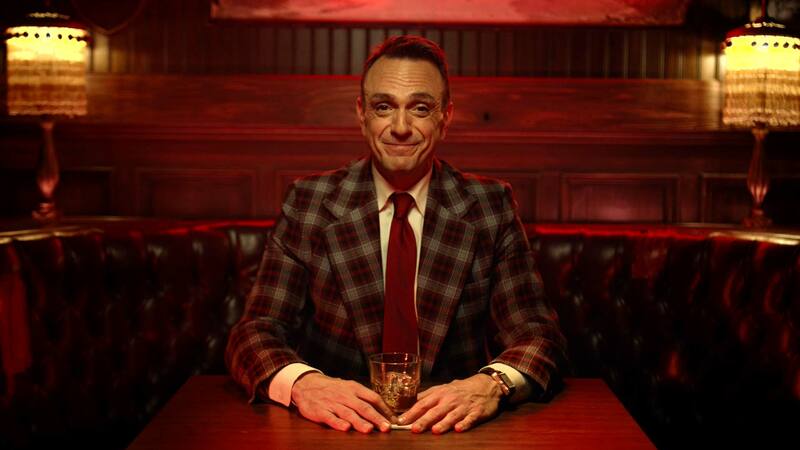 The city’s reputation for insane partying perfectly complements Brockmire himself, and it makes sense for the character to further succumb to his vices there. Sadly, we see little of this madness in the premiere, but previews of the season promise that the change in city will add some much-appreciated visual flair to Brockmire’s benders. Thus far, it seems as though season two of Brockmire will dial up the mania, but not at the expense of what makes the show unique. Brockmire is still a self-destructive, standoffish drunk who runs from his flaws, but the premiere hints at a further exploration of what really fuels him. Lucy, Jules, and the Morristown crew hover in Brockmire’s wake, shadows of an inescapable past, but as long as it all keeps him drinking, then fans will no doubt be along for the ride.